Terrorism and murder charges were also pressed against five Counter Terrorism Department officials. Terrorism and murder charges were also pressed against five CTD officials present during the encounter, police said. "In the light of the Joint Investigation Team (JIT), five senior officers, including CTD Punjab Chief Additional Inspector General Rai Tahir, have been sacked and five officials of the CTD who took part in the encounter booked under terrorism and murder charges," Punjab Law Minister Basharat Raja told a press conference in Lahore. 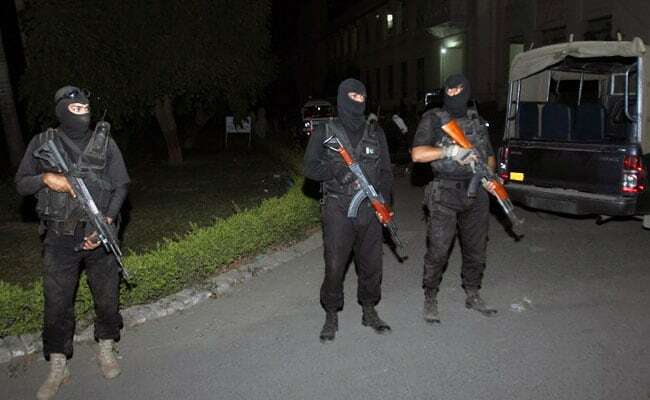 CTD officials killed four people including a teenage girl, in an encounter in Sahiwal, 200 km from Lahore, suspecting them to be terrorists. The CTD team began firing on the car in which a couple along with their four children and the driver were sitting. Three children survived the firing. The anti-terror department initially termed the victims as "terrorists of ISIS", but later declared three of them -- the couple and their 13-year-old daughter -- innocent civilians. Mr Raja said action against more officials would be taken after completion of the investigation. Replying to a query on whether any action has been taken against ISI officials on whose lead the operation was conducted, the minister said: "The investigation is still underway." He also said the fourth victim, Zeeshan Javed, was a terror suspect and the government would give a detailed briefing of his alleged links with terrorists on Wednesday.